The long march from Basel to Strasbourg continues to move towards Strasbourg. 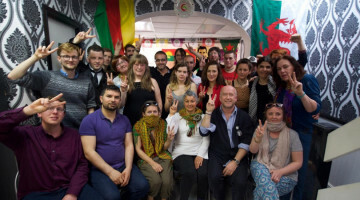 The march has been organised to support the hunger strike resistance in many cities as well as to condemn the international conspiracy which led to the capture of Kurdish People's Leader Abdullah Öcalan, twenty years ago. 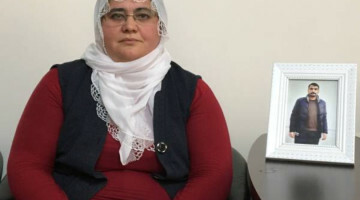 The hunger strike resistance is led by DTK co-chair and HDP Hakkari MP Leyla Güven who is demanding the end of isolation against Öcalan. Her fast has reached day 97. 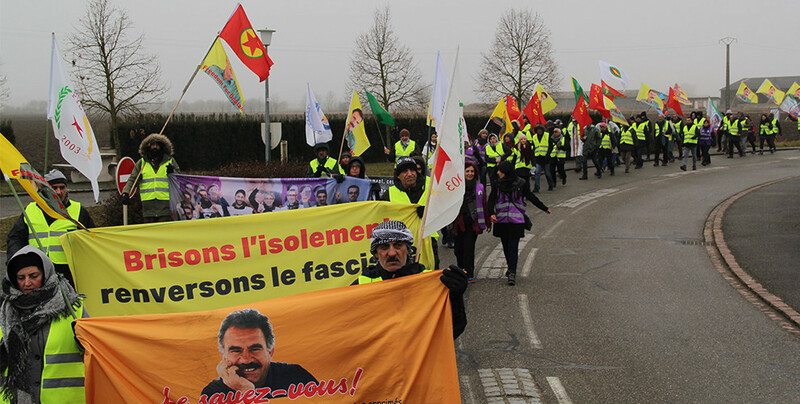 The fourth stage of the long march started in Meyenheim, France in the morning with the Çerxa Şoreşê anthem as usual. 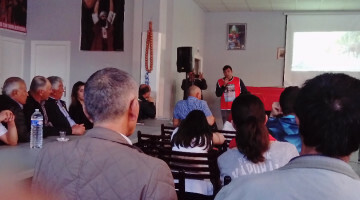 The activists chanted slogans such as “Freedom for Öcalan”. The PYD people led the march on Tuesday with the slogan ‘Let's break isolation, destroy fascism and liberate Kurdistan’. 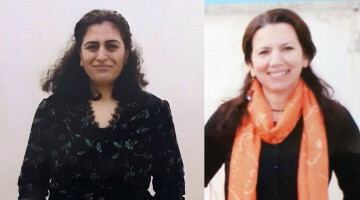 Politicians, artists, HDP deputies and mayors forced to exile, representatives of different institutions and organizations are taking part in the march, chanting slogans and carrying photos of Öcalan and the hunger strikers. 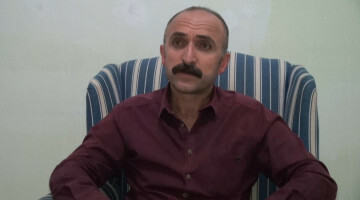 Activists underlined the resistance carried out in Imrali by Öcalan for 20 years and said that the isolation imposed on him is in fact an isolation imposed on all the peoples of Turkey and the Middle East. The organizers of the march underlined once again the importance of this action, which has been joined by many different sections and groups, and reiterated that they will continue to struggle until isolation is lifted. After a total of 60 km in 3 days, activists have walked a further 20 km on the fourth day and aim to reach Colmar in France in the evening.